The former Irish Times literary correspondent, Eileen Battersby, has died following a car crash in Co Meath. Ms Battersby, 60, was seriously injured in the single-vehicle incident 4km from Drogheda at 2pm on Saturday afternoon, and died last night. Her daughter was also admitted to hospital. Ms Battersby won several awards for her writing on the arts. Her reviews appeared in the Financial Times, the Times Literary Supplement and The New York Times. She was also a contributor on RTÉ Radio 1's Sunday Miscellany programme. Originally from California, Eileen Battersby studied in Dublin and began her career with the Sunday Tribune before moving to the Irish Times. She was later appointed literary correspondent, a job she held until July of this year. She became one of Ireland's best known critics, with an encyclopedic knowledge of her subject matter. She was also a passionate advocate for fiction in translation. Ms Battersby was also the author of works of non-fiction, including books about her beloved animals, and a novel, Teethmarks on my Tongue. Editor of the Irish Times Paul O'Neill described her as "one of the most influential critics of her generation". President Michael D Higgins said that fiction criticism had "suffered a great loss". "All of us owe her a debt of gratitude for her unstinting efforts to bring the best writers from around the world to our attention." 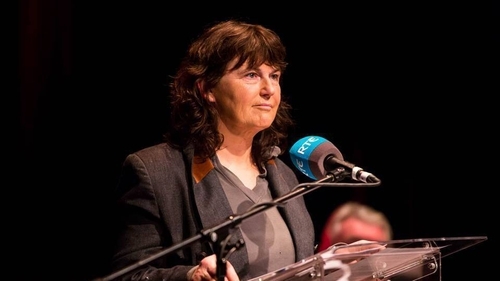 "News of the death of Eileen Battersby, literary critic, award-winning journalist, novelist, animal lover and enthusiast for natural beauty, will have been heard with both shock and enormous sadness by those familiar with her work," said President Higgins. "They will have been impressed over the years by the sheer breadth of her interests, her insatiable curiosity for what was being produced in writing in both English and lesser-known languages, which she reviewed in translation. "Among all those, including Sabina and I, who have read her unique pieces over the years, there will be a feeling that criticism of fiction in particular has suffered a great loss. Indeed, to all those in the world of books, there will be a sense that a critic relied upon by so many readers, and respected by writers, has been taken from us," added the President. "All of us owe her a debt of gratitude for her unstinting efforts to bring the best writers from around the world to our attention, her unflinching standards, and for the enthusiasm with which she brought her celebration of all aspects of the arts to so many different audiences. "Sabina and I send our deepest condolences to her daughter Nadia, and the members of her family," added Mr Higgins. Minister for Culture Josepha Madigan also paid tribute to Ms Battersby, saying she was "very saddened" to hear the news of her passing. Sunday Miscellany will broadcast a pre-recorded item with Eileen Battersby, about Silent Night, on Christmas Day.